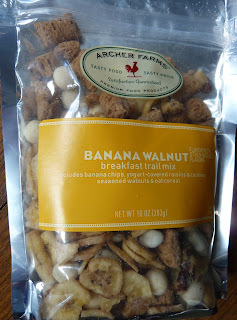 This trail mix, along with the Cinnamon Raisin Mix, are labeled as "breakfast trail mixes," for those occasions in which you find yourself camping and then waking up right on the hiking trail I suppose. 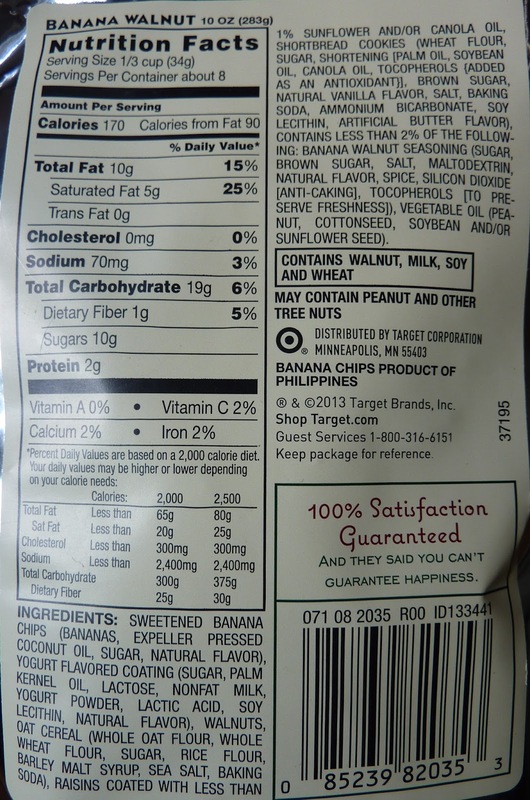 But just as I seldom actually eat trail mix on a literal hiking trail, I ate this trail mix at any hour of the day or night...so packaging labels be darned. I'm a wild man. Don't try to constrain me with your serving suggestions or tell me when to eat my delicious trail mix! My wife agrees. Good as it may be for breakfast, it's quite acceptable for second breakfast, luncheon, elevensies, afternoon tea, dinner, supper, fourthmeal, and midnight snack as well. We should know. It took us all of a day and a half to finish the bag...and we probably could have done it in a single sitting if we hadn't resisted the temptation. Sonia says this has just replaced PB&J Trail Mix as her favorite so far. I agree. I think this one is tied with Cinnamon Raisin for my favorite. It has a whole bunch of banana chips, big bready cookie-bite things, yogurt chunks, and walnuts. I'm not even a huge fan of walnuts, but for some reason they go great with banana...think banana bread....mmm yeah. With the cookie bites and yogurt chunks, this trail mix is still a tad indulgent. If you're looking for a good healthy-ish mix, try the Sunny Cranberry. 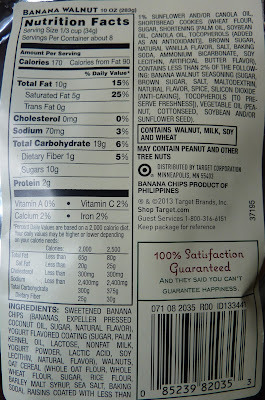 That would probably be my recommendation for people looking to stay on the leaner side of AF's trail mix selection. I will eventually buy and a review a bag of the Blueberry Nut Trail Mix, but I'm still saving up for it. I think it's $7 a bag. Really. Will it be worth it? Stay tuned to find out! Banana Walnut Trail Mix: 8 out of 10 stars.